The LEGO Friends Snow Resort Ski Lift is the ultimate winter sports resort for the friends from Heartlake City. Enjoy the mountaintop restaurant, working ski lift, ski slope sliding function, rock climbing wall, ski hire stand, trail map and the little bear with his own slope and mountain cave. There are enough activities to keep you busy all winter! Includes 2 mini-figures, plus a bear cub figure. 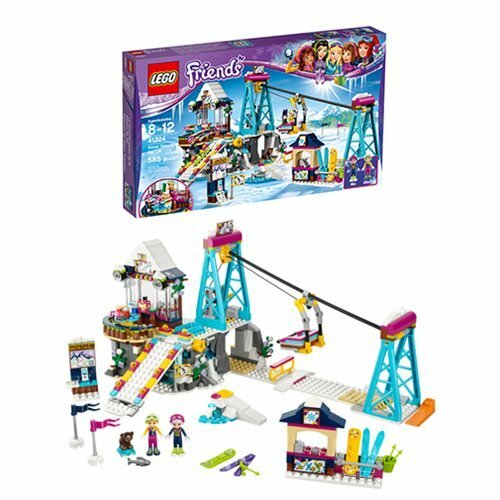 The LEGO Friends 41324 Snow Resort Ski Lift includes 585 pieces. Ages 8-12.